Our current project is creating a website for a catering company “Splash & Pickle”. They require a website to display what their catering business has to offer. 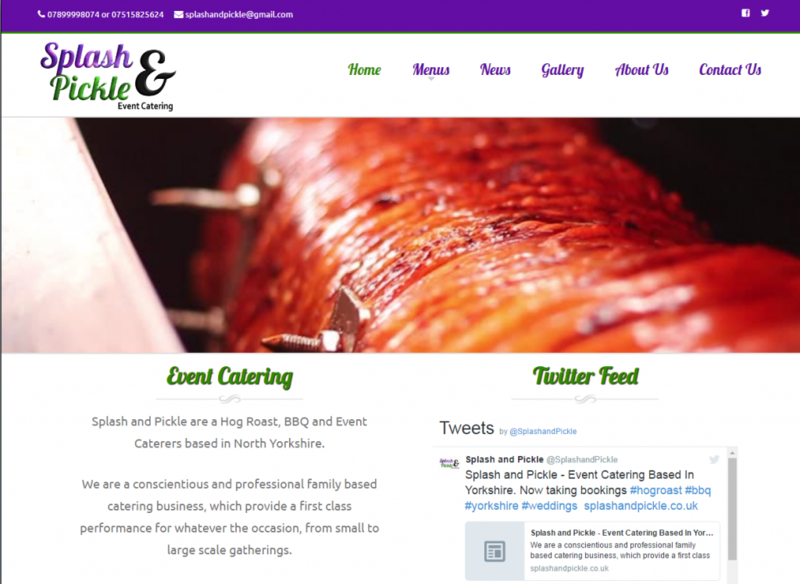 Splash & Pickle are specialised in hog roast but wish to branch out further into other aspects of catering. Logo design in line with ideas put forward by ourselves and the customer. Branding for their Facebook and Twitter pages. A new website design with advice regarding content. Hosting and analytics support for the next 12 months. This is a big new venture for Richard & Andrea and we wish them all the best for the future.